As a way to heal, Ceci walked away from Brett years ago, straight into another intense relationship. Now she's a widow raising two kids. Her plan to stay single and safe from heartbreak feels a million miles away when she comes face-to-face with her rescuer--the man she's never been able to forget. Unfortunately, "safe" is no longer in the cards anymore…in life or love. Cupid apparently has a soft spot for SEALs and he's lined his sights up on Devlin next. He's not looking for romance, but he finds the right woman in the worst possible place. As part of a military unit helping train Afghan soldiers, Devlin is learning how to use the latest combat drones. After a murder is committed on the base, suspicion falls on the drone's drop-dead-gorgeous designer. Devlin can't stop himself from running to her rescue. Following their return Stateside, another employee in the same company turns up dead. Once again, all evidence points to the designer. Bristol had no choice but to take her latest drone models to war-torn Afghanistan, given how behind schedule she is in her work and because her boss is pressuring her. The last thing she expected was disaster to strike and, for all the world, she looks like the one to blame. When the bodies pile up and her research goes unfathomably missing along with her best friend, she's determined to find out what's going on, damn the danger. Devlin has made it his mission to keep her safe while she seems to be doing everything in her power to make his job--and resisting her--impossible. Trips to Canada's wilderness for joint military training are something Easton always looks forward to. Meeting the lovely photographer contracted to capture the base and trainees for new marketing materials adds a whole new twist to a straight-forward routine…a twist with both a light and dark undertone. Summer tends to get lost in her art so she's been called ditzy, absent-minded, and a host of less flattering names. She doesn't let any of it bother her. Her passionate nature has a rewarding creative outlet, and she adores traveling for her work. Unfortunately, her undistracted concentration means she isn't always taking care of herself the way she should. So, when she's attacked, Easton is the one who realizes she's unwittingly stumbled into a dangerous situation and she needs his help to stay safe. Great stories,love the whole series and look forward to more. This series continues, more great reading with familiar names as well as new ones. They are all very entertaining and easy to read. I find the stories so riviting, it's hard to put my ereader down. 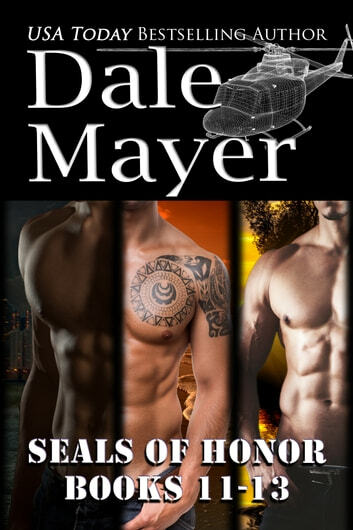 The characters are engaging and the men and there companions are so passionate about their friendship, their career, their beliefs, you would like to have friends like them. Can't wait to read the next stories. Awesome. Adventure, military men, romance. I love how Dale writes.